1. HAVE FUN TOGETHER. Don’t just do the work together or raise kids together ... do the fun together too! 2. GET EXCITED ABOUT THE THINGS THEY GET EXCITED ABOUT. If it isn’t necessarily your ‘cup of tea’, so what! Try a sip! You may just like it. If you husband loves baseball ... take an interest in it. If you wife likes gardening ... take an interest in it. 3. KNOW THEIR WEAKNESSES ... AND LOVE THEM ANYWAY. Isn’t that what best friends are for? “A friend loves at all times…” (Proverbs 17:17). 4. PRAISE THEM. Make them feel good about themselves. Would you want to spend time with someone who only makes you feel worthless and insecure? Certainly not. 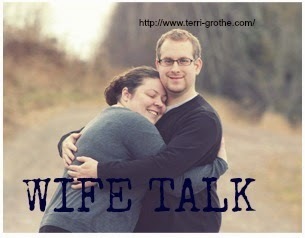 So, affirm your spouse's best qualities. Celebrate their wins. 5. EXTEND GRACE AND FORGIVENESS. Even the best of friends have a bad day, say a hurtful things or disappoint us in some way. Offer the grace in those moments that you’d want in return. If you want a friendship that lasts, a marriage that endures, you must forgive both big and small. 6. PUT THEM FIRST. Don’t let your spouse just be one of your friends. Don’t just let your spouse be a best friend. Make them your most important friend. Your relationship with your spouse should come before any other relationship in your life, short of your relationship with the Lord. Such a great post! 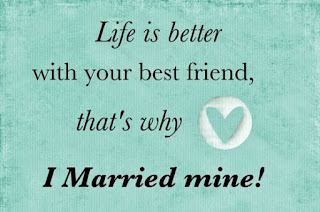 In the day-to-day busyness of life, I sometimes forget to treat my husband as my best friend, which he is. Thanks for the great reminder of how to do that. I love that quote. I married my best friend too and I couldn't be happier. I definitely need to work on number five. I often get frustrated and forget to extend grace. What a great reminder. Thank you. Awwww love this!!! 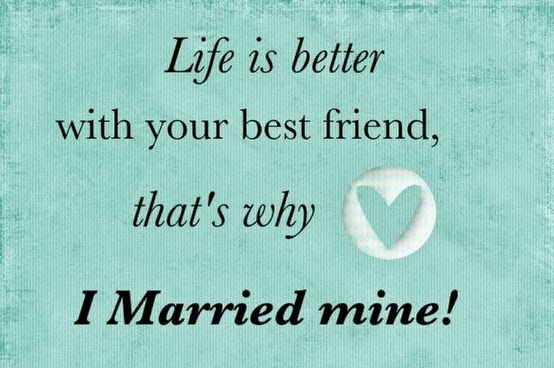 It's so important to be bestis with your spouse!